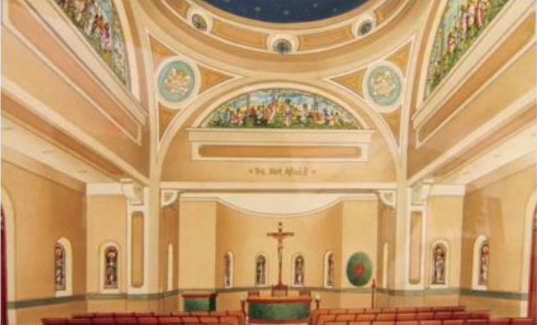 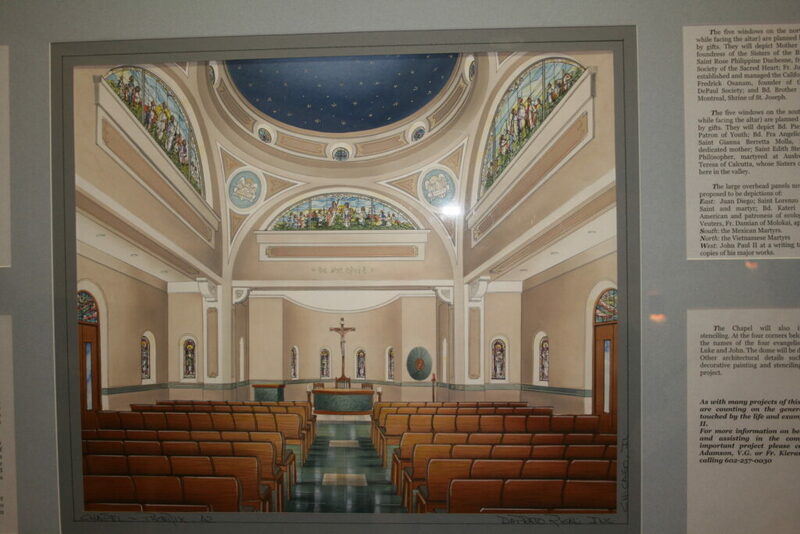 Daprato Rigali was contracted to renovate and restore the Main Chapel at the Phoenix Diocesan Pastoral Center. 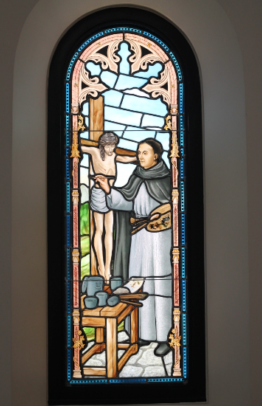 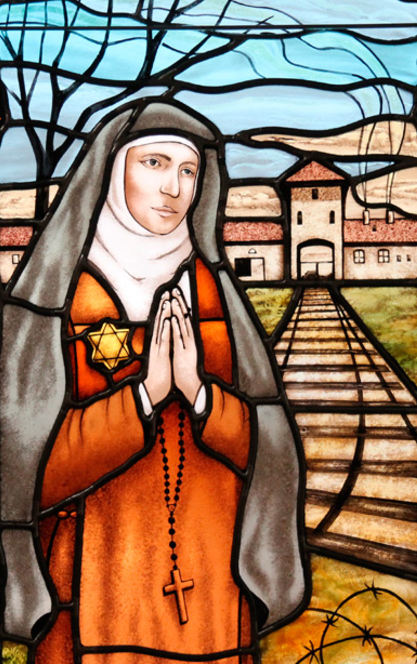 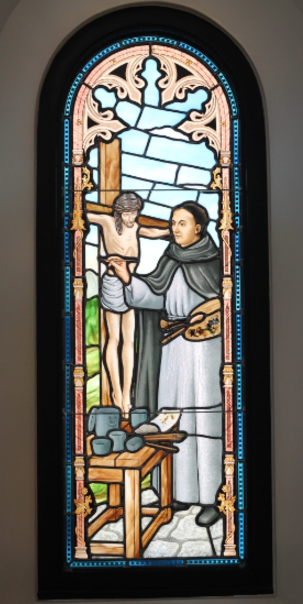 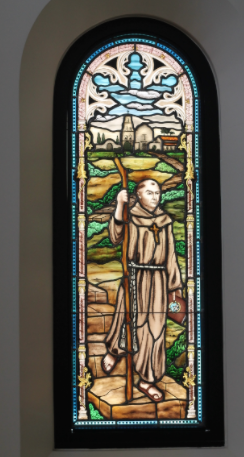 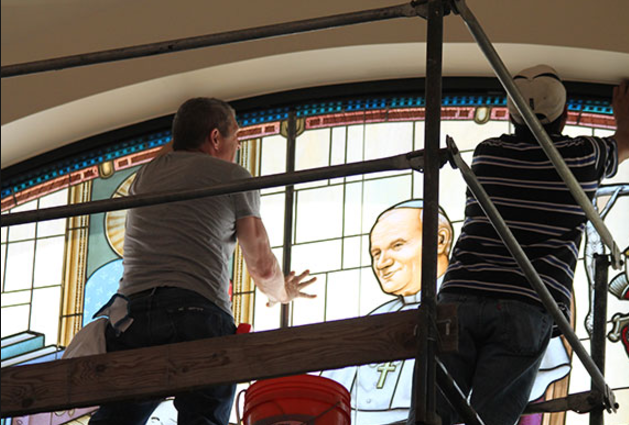 The Chapel is named after John Paul II and Daprato Rigali stained glass artists began the project by designing and installing a beautiful stained glass window of Pope John Paul II. 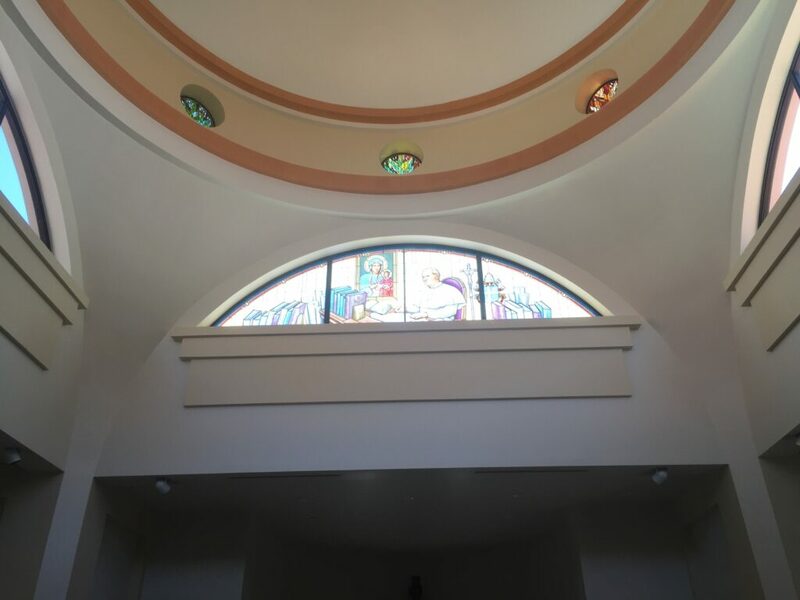 Following the installation of the main window, we created the rest of the stained glass windows for them that are now installed throughout the Nave and Sanctuary of the Chapel. 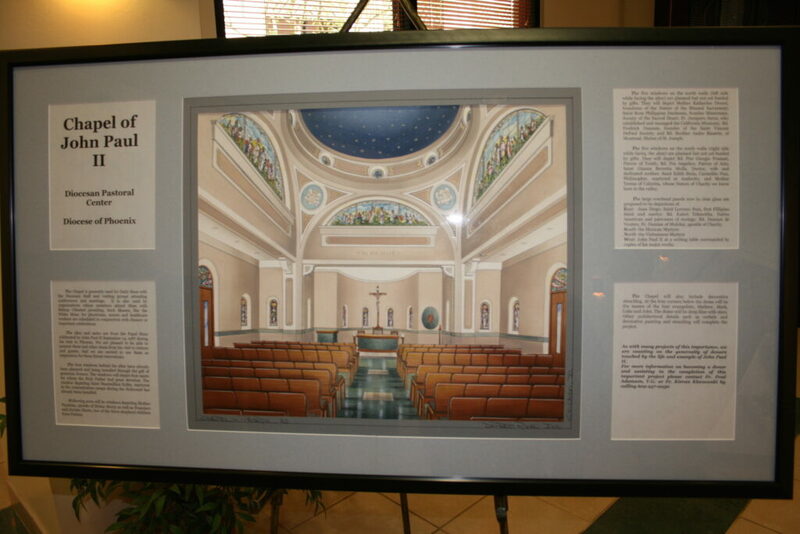 We also performed some decorative painting and stencil design work for them to help beautify their chapel. 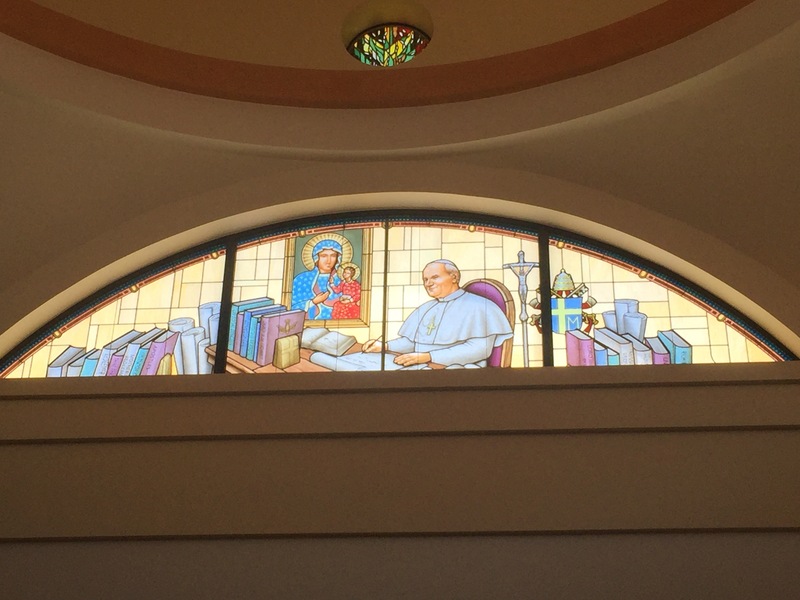 The Phoenix Diocese has been a wonderful contact for Daprato Rigali over the years, and is a sometimes nice respite from the Chicago winters. 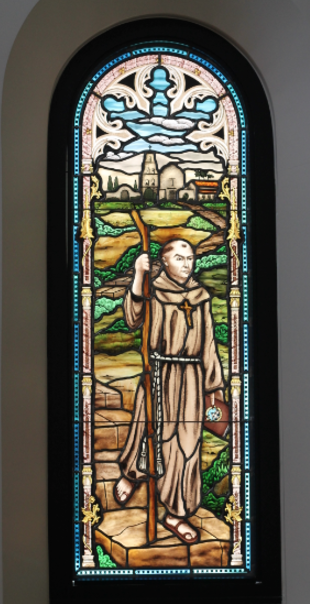 There are 14 other windows throughout the Nave, each depicting the life and theme of a Catholic Saint.